The best way to go about your next kitchen remodel is to plan and stay ahead from the very beginning. Renovating or remodeling a kitchen is a lot of work and definitely requires some careful planning in the beginning stages so that the project moves seamlessly with few surprises. We have compiled a list of things you will want to keep in mind when planning your next kitchen remodel. The budget is one of the most important aspects of a project of this magnitude. A kitchen remodel can prove to be quite a significant expense especially if you are trying to remodel the entirety of the space. However, you want to set a budget that you are comfortable with, and it is always a good idea to add a bit of cushioning just in case something pops up that you weren’t expecting. Once you have a clear idea of the budget and what you want to do, it is time to make some edits to the overall design of the kitchen. For example, is it worth the extra money to knock down a wall and open up the kitchen more? Or is this something you can edit out and perhaps go back to later? How old are the appliances? It may be time to upgrade the appliances to higher end models and to do this; you may want to see what areas you can cut some money out of the equation. Lighting is another important feature of a kitchen renovation and remodel and is something that a lot of people might not put too much thought into. However, the right kind of lighting can completely transform the kitchen and take it from ordinary to extraordinary with a flip of a switch or the raising of blinds. Are the existing windows in the kitchen smaller and outdated? You should consider replacing them with newer and bigger windows that will let more natural light in. Utilizing layers of light is another great idea to add some dramatic effects to the kitchen. Recessed lighting and undercabinet lighting can offer some great effect without too big of an expense. 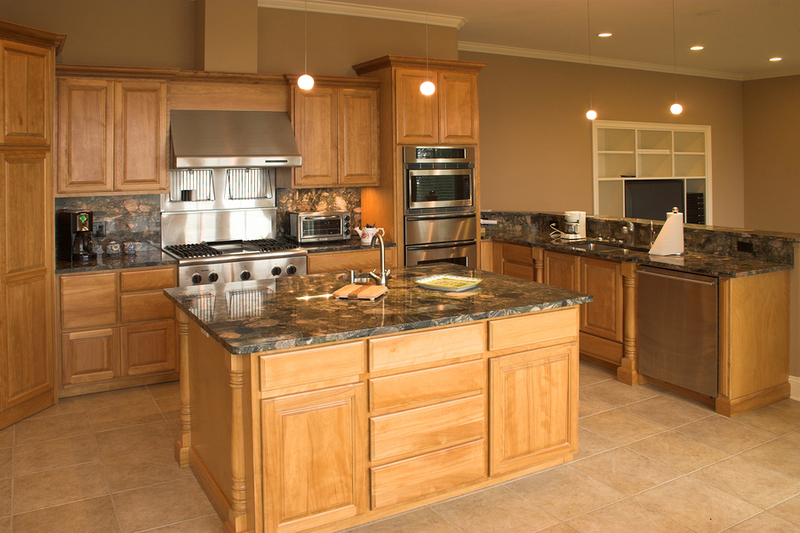 If you are ready to jump into the planning process for your kitchen renovation, contact us today to get started.